With cryptocurrencies yet to break out of their protracted range-bound cycle, the speculation on how these markets will mature continues to build, particularly with regards to institutional investor participation. While some argue that the original intent of the decentralised, blockchain-based cryptocurrencies runs diametrically opposed to the world of stocks, bonds, and other financial assets, others opine that participatory vehicles for institutional investors are essential if the market is to stabilise and become viable in the long-term. Predicting the future is always risky business, but the ramping up of investment machinery around cryptocurrencies is a trend that cannot be ignored and it may provide an indication of future market momentum. Between the proposed bitcoin ETFs, developments in the crypto regulatory regime, proposed custodial solutions, the impacts of bitcoin halving, and other innovative products on the horizon, the face – and price – of cryptocurrencies look set to change as institutional investors enter the market. One of the trending themes over previous months has been the race to seek SEC approval for the first-ever cryptocurrency ETF on a regulated exchange. An ETF, or exchange-traded fund, is a fund traded like a common stock on an exchange, and can track an index, a commodity, bond, or a basket of assets like an index fund. The most well-known funds and companies in the ETF market include SPDR, iShares, and Vanguard, and there is no doubting their popularity: since 2008 the market capitalisation of the US ETF market has swelled from $500 billion in 2008 to $3.4 trillion in 2017, a massive 580% increase. Proponents believe that approval and listing of ETFs is an essential step towards attracting institutional investors into the cryptocurrency space as it will allow diversification and trading without requiring buying the underlying crypto assets. The most recent attempt by the famed Winklevoss twins to get their bitcoin ETF approved with the SEC again ended in rejection, much to the disappointment of investors seeking to capitalise on the easy access such a vehicle would provide. Although many in the crypto space implied there was an ideological element to the ruling, the real reasons behind the failed bid centred on concerns around custodial security and the mechanism by which physical contracts are to be settled. Despite this setback, the Winkelvoss ETF is just one example of many of a growing number of financial instruments being pitched to channel capital into cryptocurrency markets which include a crypto-based mutual fund in Canada and a bitcoin ETF approvals at the SEC from VanEck aimed specifically at institutional investors. Major players in mainstream finance are also getting in on the action, with Bloomberg teaming up with Galaxy Digital to create a benchmark index for cryptocurrencies earlier this year, and Citibank exploring a Digital asset Receipt’ mechansism of cryptocurrencies. At the same time, other highly innovative, tech-driven solutions to lowering the barriers of investment into the crypto sphere are being developed. One such project is Infinite Alpha, an AI-driven crypto-asset trading ecosystem, which seeks to provide professional investors with an all-in-one solution, offering trading and institutional custody in both crypto-assets in integration with traditional portfolios and investment options. These examples are all clear indications of a single overarching goal: to make institutional investing in cryptocurrencies part of the mainstream in the near future. A large barrier standing in the way of full-scale institutional participation is the regulatory regime specific to cryptocurrency markets. The decentralised and self-governing nature of cryptocurrencies is largely incompatible with many of the financial industry and governmental necessities for regulation and reliable, controllable mechanisms for settling contracts, punishing bad actors, and having a functional trading system. While some industry standards and self-regulating codes of conduct have been proposed, it is clear that the lack of a formal governing body has been a sticking point for many institutional investors. In addition to a lack of centralised regulatory structures, a further issue putting the brakes on institutional investments relate to custodial issues. By law, investment funds are required to have their assets held by an outside custodian, who then charges a fee for holding the assets securely. Very few custodial services have hitherto embraced cryptocurrency asset custody, although major exchanges such as Coinbase and Gemini have made make headway in this area with, for example, Coinbase planning to expand their custodial service from four to 40 cryptocurrencies. An increase in platforms offering custodial solutions will make it more likely that investment funds will overcome this particular regulatory hurdle. Additionally, another mechanism for resolving custody includes the use of stablecoins, cryptocurrencies that are tied to fiat currencies or other crypto products and which use a complex interaction of collateralisation mechanisms to maintain their price stability. Coins built on this principle could be used to store investment value in much the same way as fractional shares of a traditional stock or investment fund, with a fluctuating coin value per share – essentially, a second level layer of indexing. However, these plans still require some further development and refinement before they are likely to be considered viable by investors or major regulatory bodies. One of the design features native to Bitcoin is the ‘halving’ phenomenon, that essentially results in a progressively decreasing reward for mining activities over time. It’s a fundamental aspect of controlling the supply of coins in the closed-system nature of cryptocurrencies. This is no minor detail from the point of view institutional investors, as it means that the variability in valuation from newly mined coins gets closer to zero over time, creating a progressively more stable investment. This supply and demand dynamic also underscores the long-term long-side potential given that a closed-system and decreased mining rewards means fewer and fewer new coins will be generated. The next halving should occur in 2020, and it has been speculated that there may be a significant price increase in the run-up to that event. 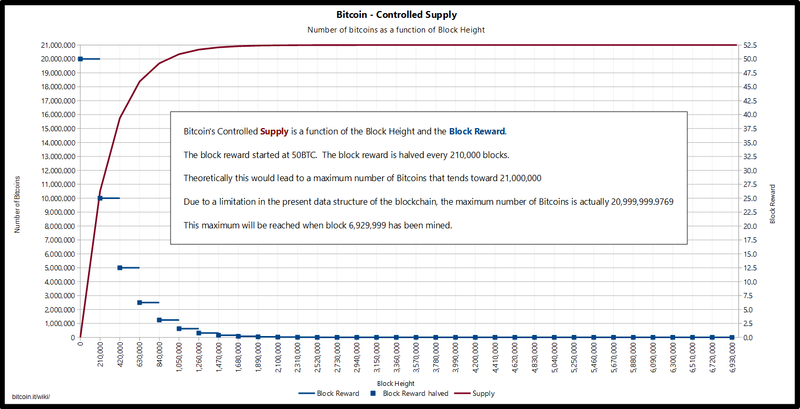 The current reward era (3), with 12.5 BTC per block mined, will drop to 6.25 BTC per block mined. The sum total of all of these developments means that it is becoming increasingly likely that viable solutions for institutional investors to enter and trade cryptocurrency markets are coming on line. Exactly what form the most successful instruments will take remains to be seen, however, current gauges of interest and the myriad of projects that seek to overcome the obstacles to institutional investing in cryptocurrencies indicates a strong desire for institutional investors to get into this market space. And as new capital flows into these markets in the near future, the most likely result in the closed-supply cryptocurrency system will be a significant uptick in pricing. Coupled with natural events such as the halving of rewards, and the ongoing organic development of regulatory standards, the future looks bright for the viability and value of cryptocurrency assets.